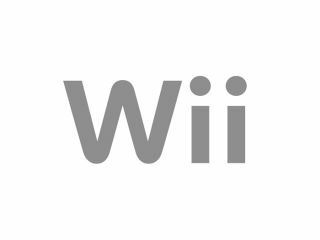 While the Wii continues to steam ahead in the games console race, Nintendo is already looking to develop the Wii mark 2, according to the company's president Mr. Satoru Iwata. Forbes reported recently that Nintendo is "already working on the Wii's successor" adding that president Satoru Iwata noted the company was "always preparing for the next hardware." As for details on what technology Wii 2 will be packing under the hood, well, Mr Iwata was a little less forthcoming on those! Iwata added that Wii 2 was "under development" but also, tellingly, added that, "the hardware is a kind of box that consumers reluctantly buy in order to play our games." Every new piece of Nintendo hardware must have "some revolutionary features" with the current Wii console boasting that well-documented "revolutionary user interface." "Will it be the same for the next generation? I really can't tell," added Iwata. "It's natural for the current customer to expect Nintendo is going to once again do something different. If the people are expecting so many different things from Nintendo, it's going to be difficult for us to go beyond that expectation again." TechRadar has spoken to Nintendo UK's press office today to request further information on the future of the Wii. We will of course bring you updates as and when we get them. Additionally, stay tuned for a full update shortly on the status of the Nintendo piracy lawsuits in Japan.